Smith is exiting the WPP firm after nine years, four of them leading the agency's global PR function, for a health-foods company. WPP veteran Stuart Smith is leaving agency-land for the client side. LOS ANGELES: Ogilvy global PR leader Stuart Smith is leaving the WPP firm to join Vegolutionary Foods as chief marketing and growth officer. Smith will relocate from New York to Los Angeles at the end of January to take up the newly created position with the health foods company best known for its Caulipower gluten-free pizza brand. In his new role, Smith will lead strategy for Vegolutionary Foods, Caulipower, and its sister brand SweetPotaToasts, focusing on driving continued growth through investment and innovation in the vegetable and frozen food categories. "Caulipower is rewriting the rules of frozen product design and marketing in an omnichannel world," said Smith, in a statement. "That’s exciting, and this is the best and most natural next step in my career." 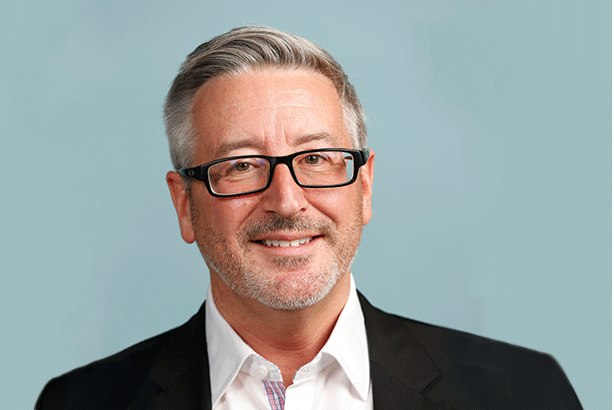 Smith moved to the U.S. from London in 2014 to take on global CEO duties at Ogilvy. He subsequently transitioned to the role of executive partner, global leader, PR and influence when the WPP firm disbanded Ogilvy PR and its other single-discipline businesses to place all its offerings under the Ogilvy umbrella. He initially joined Ogilvy in 2010, rising from MD of its global corporate practice to EMEA CEO. He worked previously for fellow WPP firms Burson-Marsteller and Hill+Knowlton Strategies. Prior to that, he was U.K. CEO at Edelman. Last year, Smith served as president of the PR jury at the Cannes Festival of Creativity. Ogilvy CEO John Seifert said: "Stuart has been a fantastic partner. He's taken on every challenging aspect of what it was like to transition a separate independent vertical called Ogilvy Public Relations into an integrated core capability of a one branded company. "He's done a brilliant job, and I'm not happy to lose him, but he's going on to a thrilling venture that's one of those once-in-a-lifetime things you have to step into," he added. Seifert will take over Smith's role for a short time, convene a dozen of his PR team in San Francisco shortly, and map out the next three years. He is expecting to have a new PR lead in place by the end of Q1. Vegolutionary Foods was founded by former Edelman executive Gail Becker, who left the world’s largest PR firm in 2016 to launch Caulipower. Becker later served as Edelman’s president of strategic partnerships and global integration. "Stuart is a rare combination of a successful business leader and a trusted strategist with a flair for blending data and creativity," she said in a statement. "In less than two years, Caulipower has become one of the fastest-growing brands. We need someone of Stuart’s caliber to accelerate our growth strategy." Vegolutionary Foods manufactures nutritional ready-to-cook meals low in fat, calories, and sugar that are naturally gluten-free, paleo, or vegan. It has disrupted the grocery industry by innovating in two new categories: cauliflower-crust pizza and superfood toast. Caulipower has become one of the fastest-growing brands in North America, quickly building market share in the frozen pizza category. Products are available in more than 17,500 conventional, natural, and specialty stores across the U.S. and Canada, such as Sprouts Farmers Market. It is the number one better-for-you pizza, cauliflower crust pizza, and gluten-free pizza, and is the fastest growing pizza brand in the U.S. Becker launched the company in 2017 after struggling to find healthy, tasty foods for her two sons with Celiac Disease. Every Caulipower purchase benefits OneSun, a program installing edible teaching gardens in underserved public schools. Its communications support is handled by LA-based Harmonica PR. Becker joined Edelman in 1999 as general manager of the Los Angeles office. She later oversaw the firm’s U.S. Western region, and Edelman Latin America and Canada. Prior to joining Edelman, Becker held senior PR roles including VP of communications at Warner Bros. and director of communications for the U.S. Department of Health and Human Services. She also served on the national press staff of then-Arkansas Gov. Bill Clinton's presidential campaign in 1992.